Many thanks for the link in answer to my question on the origins of Random 15. I had searched the archive to no avail. Little did I know it was headed "Tubefest 07 Thursday night challenge." No wonder I couldn't find it! Please meet in or by the entrance of the original "Tube" ticket hall. Last edited by tangy on 14 Jan 2018, 00:52, edited 1 time in total. 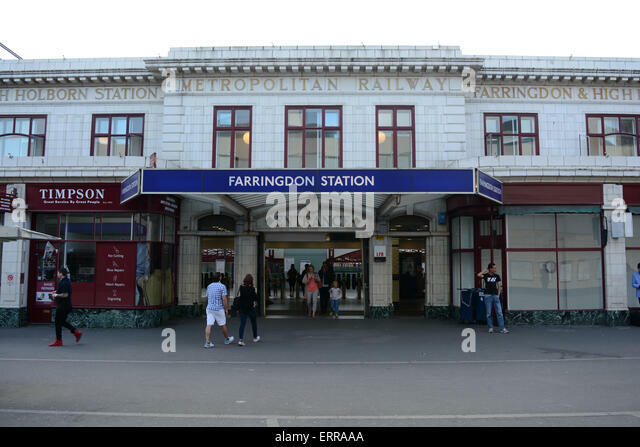 I was only aware of one ticket hall at Farringdon - is it the one at the east end, above the platforms? There's two entrances across the road from each other, so on the street view below: the left entrance. There is an entrance in Turnmill Street as well, although I think that is only open in the peaks. Are we starting at "alamy stock photo" then? parkrun: Peckham Rye, GU, crypto?